Wish you all Very Happy Makar Sankranti!!! Sakranti means to go from one place to another place (to change direction). It also means one meets another. The time when the sun changes direction from one constellation (of the zodiac) to another is known as Sankranti.Transition of the Sun from Sagittarius to Capricorn during the winter solstice in the northern hemisphere (Uttarayana) is known as Makar sakranti. 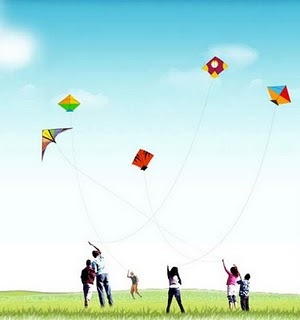 Makar Sankranti is celebrated as kite-flying day in Gujarat.This is the season when the skies are clear and the breeze seems pleasant making every body in a jubilant mood. It is the same day when mostly in every household people make sesame seeds fudge(Till chikki or Till ladoo) and take on their roof and enjoy with their family and friends....personally I believe in this season- it is beneficial to eat sesame seeds and jaggery as they both keeps your body warm. I remember in my years when January comes, used to wait for Till Ladoo and mum also used to make Gajar ka Halwa,Undhiyoo and Puri...I guess in winter season all the veg is easily available in India....and for kite flying, i always have to hold the FIRKI for my Brother, when he loses his kite, the blame comes on me...........Enjoy the festival carefully!!! On this day, people usually make Till Ladoo, but I decided to make Date and Pistachio toffee...I called it toffee because of its chewy texture. It's a sugar free and fat free dish which makes a non-guilt sweety treat! In the microwave, place the dates to soften for about 1 1/2 minutes. Then, mash the dates with a potato masher. Now add pistachio and mix well. Roll out into long narrow cylinder shapes on top of the dry coconut, so that the top is coated with the coconut. Leave to cool for a few minutes and then cut into small pieces. Happy Sankaranthi Jagruti. Dates with pista toffee looks very tempting. WOW!!! toffee looks so lovely. Feel like having some. Will try it soon..Thanks for sharing. Wish u the same very Happy Makar Sankranti!!! Such a fantastic and healthy toffee balls, Happy sankranthi to u & ur family.. Thank you Gulmahor, padma, swati, kothiyavunu,Rachna and Priya...wish you all Happy Makarsankranti..
Hey jagruti..thanks for stopping by Vazhayila..
Great pics, enjoy Pongal. Easy and sugarless sweet to make, good one. 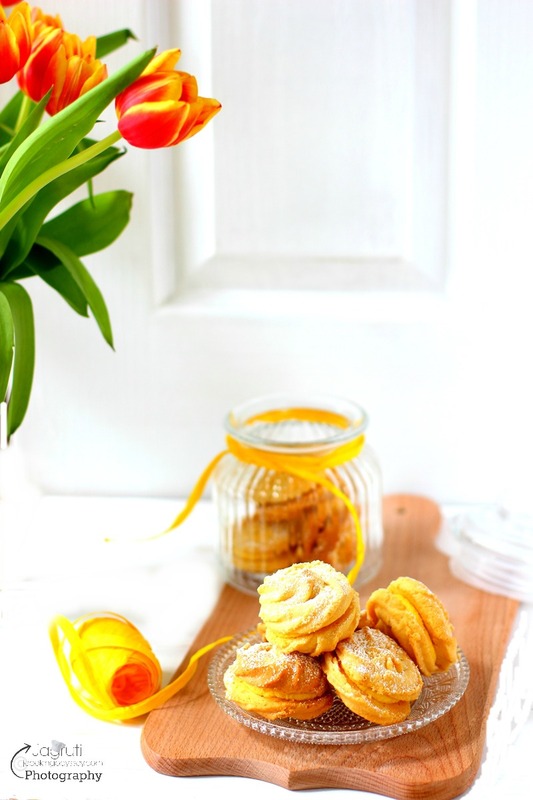 Happy sankranti..these cookies looks awesome, as well as they are super healthy..